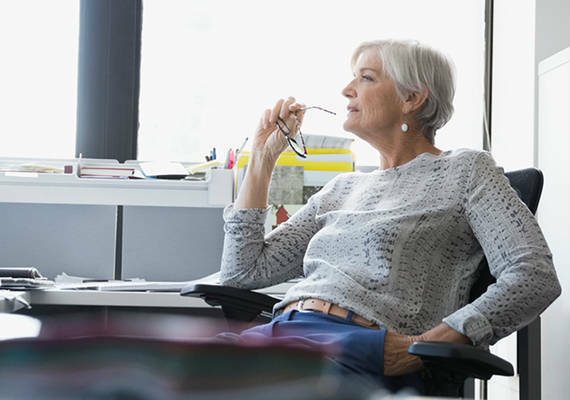 In the battle for talent, small businesses that overcome old concerns about 401(k) plans may put themselves in the best position possible to win. Millennials and Gen Z employees are less concerned with health, per se, and more attracted to an employer whose benefits reflect the kind of flexibility and portability that meet their evolving circumstances. One place to start is to make your retirement and healthcare plans work together harder. Here’s how. If you’re like many small business owners, you don’t offer a 401(k) plan to employees. Why not? Well, you think you have too few employees, for one reason. Matching contributions would be a financial stretch. And then there are the administrative responsibilities! Only 10 percent of businesses that employ 10 to 100 people offer 401(k) plans, according to the U.S. Government Accountability Office data. But that doesn’t mean small business owners don’t recognize the value of retirement plans. In fact, 94 percent of small business owners agreed that a 401(k) is important for recruiting and retaining people. But what small businesses owners don’t realize is that they do have options when it comes to offering a 401(k) plan. They don’t have to match contributions and they can share administrative costs with participating employees. With those parameters, a 401(k) may be your best differentiator. It’s all about this: In today’s battle for talent, you’re not going to attract millennials or Gen Z workers (who both comprise almost half of today’s population) with health benefits alone – if at all. They may not value these benefits like other employee populations, especially since many of the younger ones – like recent college graduates – will likely be covered by their parents’ health plans for a few more years. Build a small business 401(k) that your prospective employee population can get behind. Consider integrating your 401(k) with healthcare benefits like a high deductible health plans paired with health savings accounts (HSAs). The HSA contributions are tax deductible (up to $3,450 for an individual, and $6,900 for family coverage) and tax-free when used to pay for eligible health expenses. Plus, once the balance reaches a certain level, money in the account can be invested in the 401(k). You’d be offering a triple tax savings that is portable from job-to-job, has a lot of appeal to employees of any age and provides a painless way to save, whether for health needs or for retirement. Integrates healthcare incentive products with 401(k) plans and their administration, and makes it easy for employers to offer and manage. Offers a platform that is easy for employees to access and use, with education as well as investment advice. Provides a complete roster of fiduciary and advisory services, including oversight of the plan’s regulatory compliance so a small business does not have to worry about meeting fiduciary requirements on their own. It is possible for small businesses to offer the kinds of benefits that will help them stand out in the recruitment and retention battle. Seeing a 401(k) as an opportunity – not a challenge – is your first step.